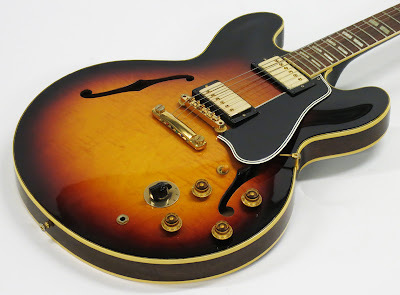 "1960 Gibson ES-345TS+V electric semi-hollowbody guitar. 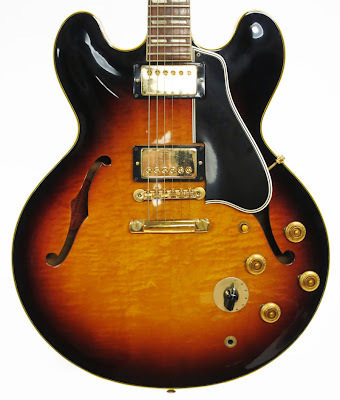 Without question the most exotic example ever discovered, this particular ES-345 is miraculous for several reasons: firstly, the top is comprised of (2) book-matched pieces of unprecedented figured curly/flame Maple which meet perfectly at the center seam of the top. 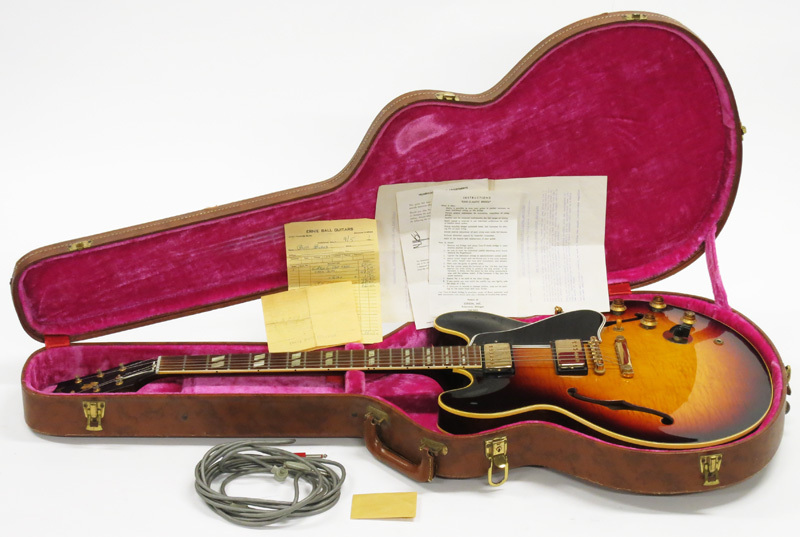 Secondly, this one owner instrument was preserved in the utmost condition and remains in indisputably mint cosmetic condition and includes; the original Lifton hard case, original purchase receipt from Ernie Ball music, the original Stereo/Mono instrument cable and original PAF paperwork. Of the 251 made in 1960, this is the finest in existence, so this represents the only opportunity to buy the best in the World."